I was working next to the Grand Place in Brussels. 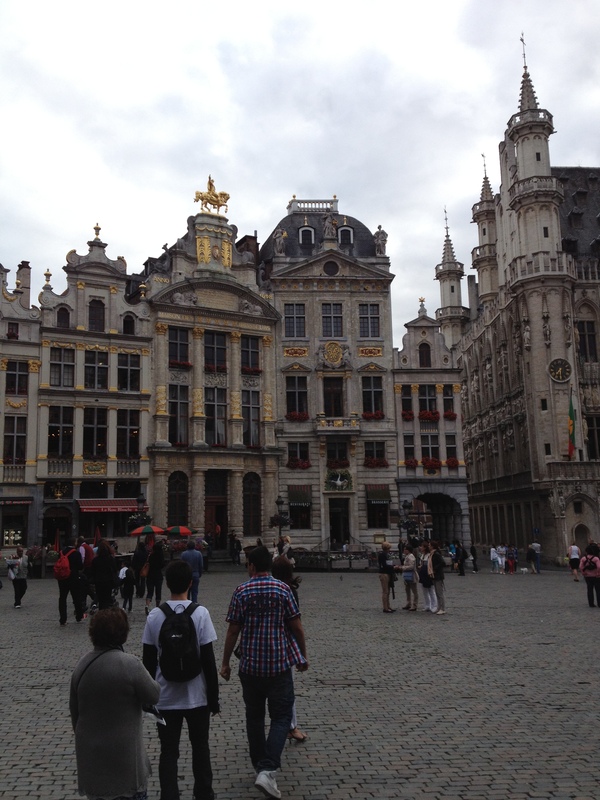 Must do some coding IN the Grand Place, it is such a great place. Everytime I enter that square I am stunned by the architecture and the way it all fits together. I was told by a Belgian expert-in-a-bar that the intricate architecture was deliberately put together that way. Hmmm is there an analogy there? Making a game is putting pieces together so that the whole adds up to more than the parts. Previous postMy iPhone/iPad Football Manager type game 80- Will it play well?? Next postThe interview for the movie From Bedrooms to Billions -why my picture on the cover?